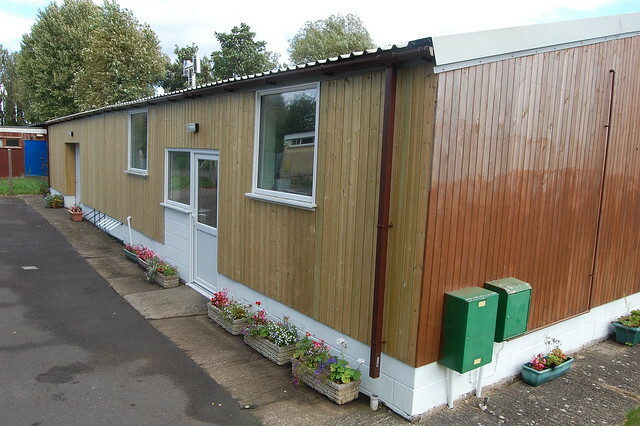 With the help of a generous gift from Persimmon Homes and using some of our funds pre-allocated for maintenance, we have had the cladding on the other three walls replaced with new, pressure-treated timber. With the old cladding removed, it was also found that a few of the minor joists were showing signs of rot, and these too were replaced with new timber. The money we had allocated also allowed for new guttering all round, and a new wood store on the corner of the building, where we can keep logs dry. With some of the cladding left over, there is now talk of a work day to replace our tool shed to give us more space, but this may have to wait until we have had one or two sessions of painting. Finally, the budget will stretch to some new Melksham Scout Group signs – again, the old one was looking a little worn. Keep an eye out for these in the near future. All in all, when you next see it, we think you’ll agree that the exterior of the Hut looks a whole lot better, but perhaps more importantly, the new cladding and guttering will ensure our Hut stays in good condition for the use of many, many Beavers, Cubs and Scouts in the future.